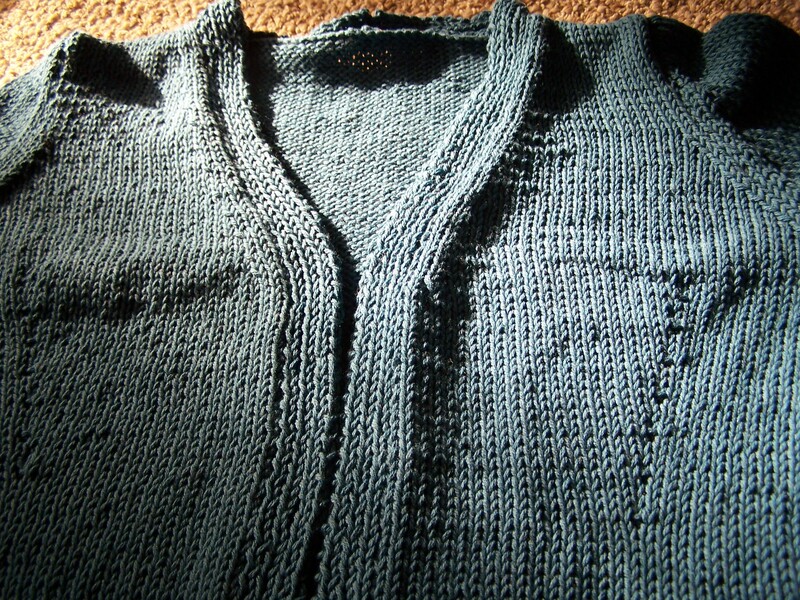 I am calling the March Cardigan done. I still have to sew on the buttons, but it is done in all the ways that count. I did not mind this knit at all. I do not understand some of the directions. I can not come up with a reason to knit the front bands separately and sew them onto the fronts. If I had it to do it over again, I would knit them at the same time as the fronts. 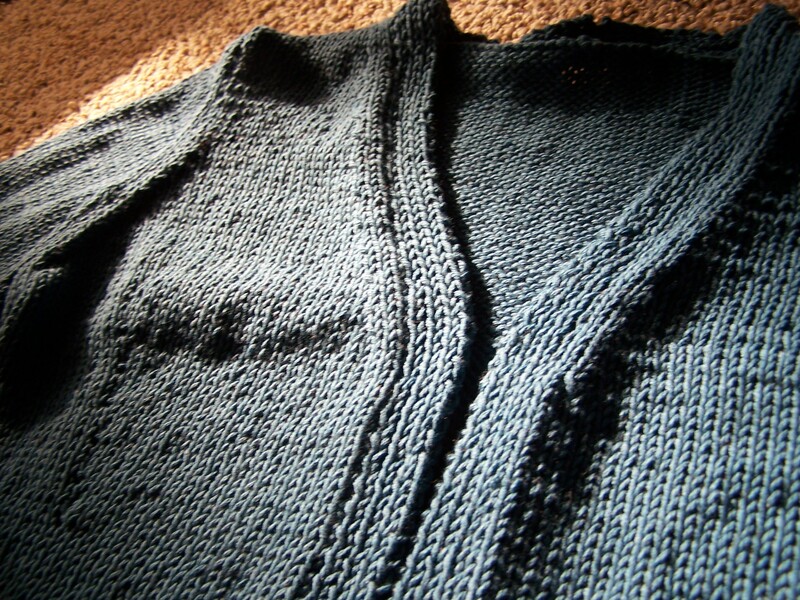 I would also knit it in the round and pick up the sleeves and knits those in the round also. I really hated the sewing up. It took me three nights to complete all the finishing. Though, that could be because the sinus problems that have been creeping up on me and hit me upside the head today. Oh well, it is all over now. I just have to wait for it to get a little cooler. Long sleeves + 90° – 100° F Alabama summers = not good sweater wearing, even when it is knit in cotton. It is Tuesday and that means I have a date with NCIS!